Raise your hand if you use Dropbox! I love it! I can easily transport files from school to home without having to worry about remembering where my flash drive is (ok, where my 10 flash drives are....). 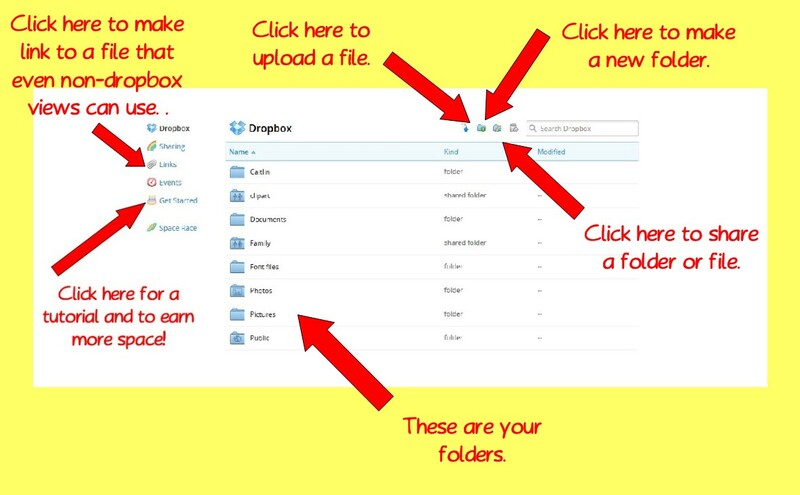 It also allows me to share my files or an entire folder with other teachers or my husband. I can download an app that allows me to easily add files from my desktop computer, ipad or phone. You can also use the web based version for when you can download the app (like at school). This greatly helps me to keep thing a bit more organized also as I dont have to worry about or remember which of my flash drives I put my file on. If you haven't already I highly recommend you go check it out. Click here to get started. The first screen you will come to will look like this. After you register you will come to your home screen which will have some preset folders for you. You can see in the pictures below that I have made my own. So what are waiting for? Go get started!